What are Blast Freezers For? 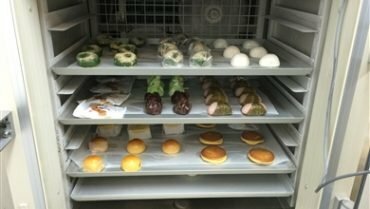 When you are looking for a new freezer for your business, there are a variety options to choose from. From shock freezers to blast freezers, but what’s the difference? 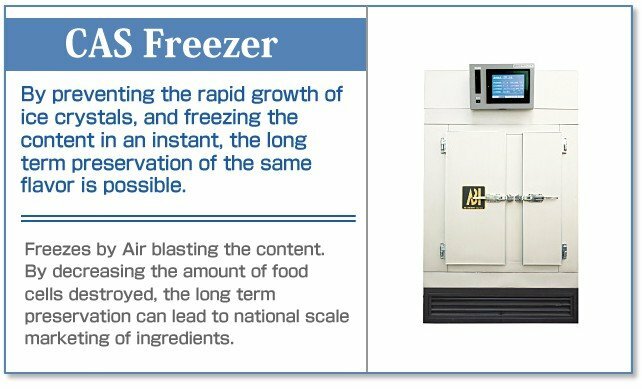 Today we are going to describe exactly what’s a “blast freezer” and why is it the tool that businesses use to freeze their products. 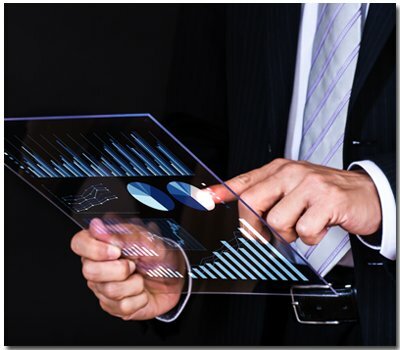 With an ever growing global industry, professional business owners are now realizing that in order to keep up with the rest of the world, first they have to make sure they are able to keep up with growing global demands for their products via improving production speed and quality. 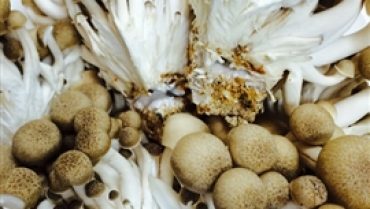 If production is increased, making sure the products can maintain said quality comes down to just how well they preserve their product. That is where blast freezers come into play. 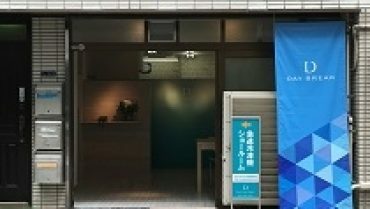 It is a quick freezing solution for professional business owners. Let’s be clear that a blast freezer is NOT a blast chiller, these are two completely different cooling machines. Used to cool products quickly to about 3 C for short period preservation and fast deforestation purposes. 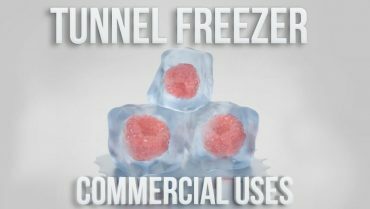 Also known as Flash Freezers; Rapidly freeze products well below water’s freezing temperatures (0 C and below*) This extreme freezing atmosphere created by the blast freezer (flash freezer) stops bacterial growth. This allows business owners to preserve their products for a longer period of time. Most blast freezers can quickly reach freezing temperature in a rapid pace not see in regular freezers. 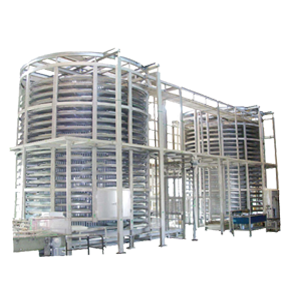 Depending on the blast freezer model and size, temperature can reach from -18 C to -45C. 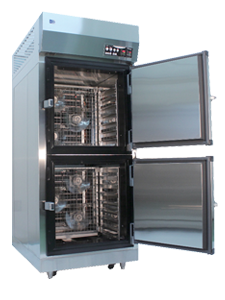 Now, just how fast a blast freezer reaches these temperature is one of the major differences between different blast freezer manufacturers. 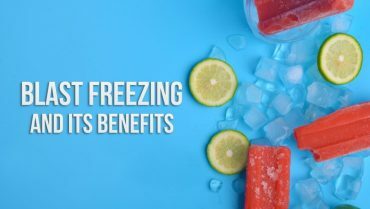 Blast Freezers reach these temperatures almost instantly, allowing the products that are inside to freeze within 30 to 90 minutes, compared to shock freezers that usually take 90 to 120 minutes, the main difference is the speed at which it can completely freeze a product. The good thing about deciding to purchase a blast freezer is the fact that there is a large variety to choose from. From room sized to table size blast freezers. Also, freezing the product is quite different depending on the model. Depending on the blast freezer you invest in for your business, the speed and overall freezing quality may change. 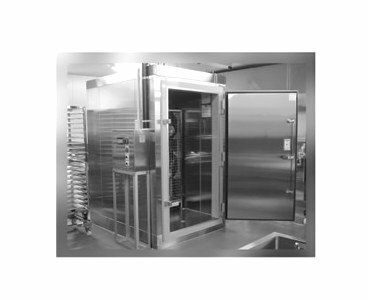 When investing in a Blast Freezer, it is a very important investment to your company as ultimately the freezer that you choose will decide how well your products are preserved after being made. And that is where a lot of companies make the mistake to invest in relatively cheap or affordable blast freezers that could ultimately not increase revenue nor production speeds due to the cheap machines limitations. Limiting your business via investing in under priced tools is one of the biggest mistakes that start-ups or small businesses make. After testing various blast freezers from various manufacturer from all over the world and working close with our partners, we were able to bring a new entry of blast freezers that truly freeze the products using flash freezing technology all the while maintaining the product’s original texture, flavor, and moisture. 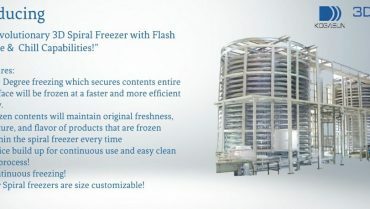 Like other blast freezers, temperatures can reach freezing degrees fast, but our blast freezers utilize a special feature we call flash freezing that freezes the product quickly, but safely via control of crystallization of water particles in the molecular level of the products that are being frozen, thereby minimizing over or under freezing. This new method of freezing products can be seen in CAS line. 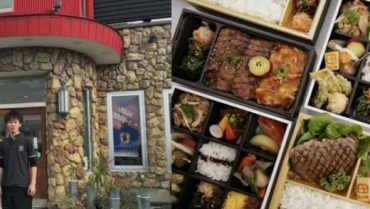 3D Freezer: 360 Degree Freezing Technology! The first Blast Freezer that we are going to look at is our 3D Freezer. 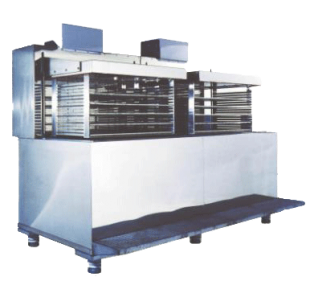 This Freezer is very unique from the rest in the market due to the unique 360 Degree system in which cycles the air within the freezer to quickly freeze products from all angles, thereby increasing freezing time and evenly freezing all angles of the products that are being frozen. 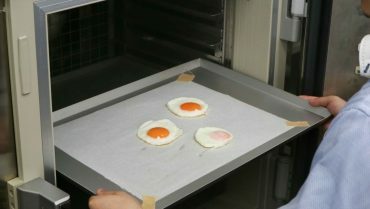 Using the proton freezer for maximum minimization of over freezing products and therefore avoid damaging the products. Blast Freezers are commercial freezers made exclusively for business owners that need a way to quickly freeze their products due to their growing production and product demand. There is a wide selection of different kinds of blast freezers currently available, so can you find the right one for your business? That really depends on your business needs. If you are looking for a blast freezer that is able to increase freezing capabilities and freeze every product in a way to keep the flavor, texture, and moisture in tacked, then you are in the right place. Send us a quick INQUIRY via the blue mail toggle and we would be more than happy to go into full detail on what our line up can do for your business!